This is "Lucy" my '67(68 MY) semi auto i've had her about a year and in which time i've managed to put some dropped spindles on, add some flat 4 BRM's and new rubber, get the bodywork sorted,put a new carpet set in and new seatbelts and new TMI interior. She's my pride and joy!. Please people let me know what you think of her and if there's anything else you think would look good on her! 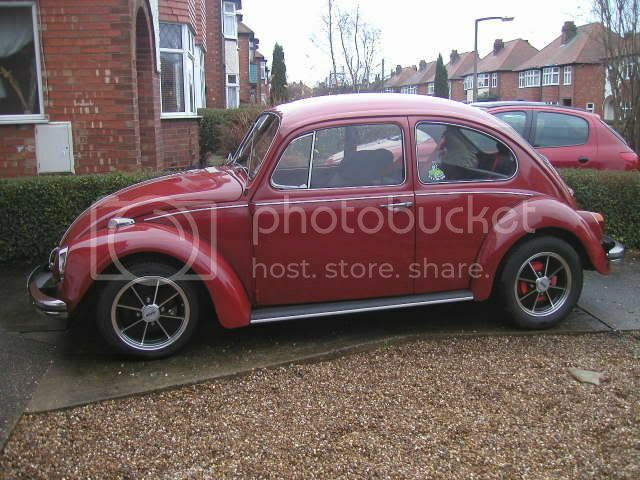 (although there are plans for 2007...)also not that i would sell her but what do you think she's worth? looks good. what else have you got planned. Will be getting a full resto in April if my man can clear his backlog of work. In the meantime I am going to have a go at painting it with an enamel based paint. Been reading other forums where it seems to be popular and gives some good results. Will post up a few pics when I get going. love the pics of your ride. I think it looks great! 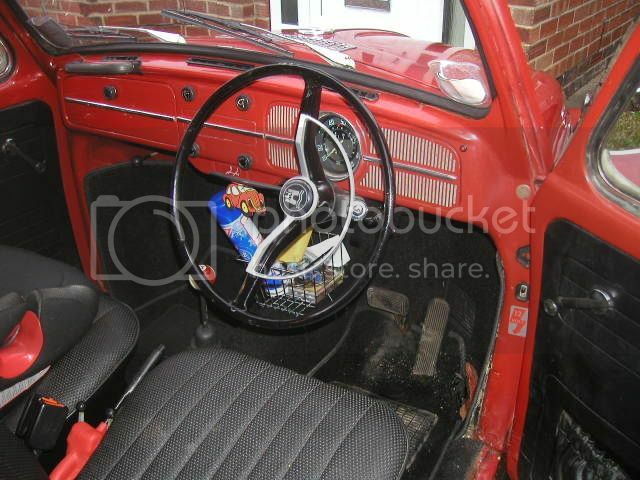 plus its right hand drive, awsome. I'm not sure of the market, but if I had the cash, I would pay at least $7000 USD. 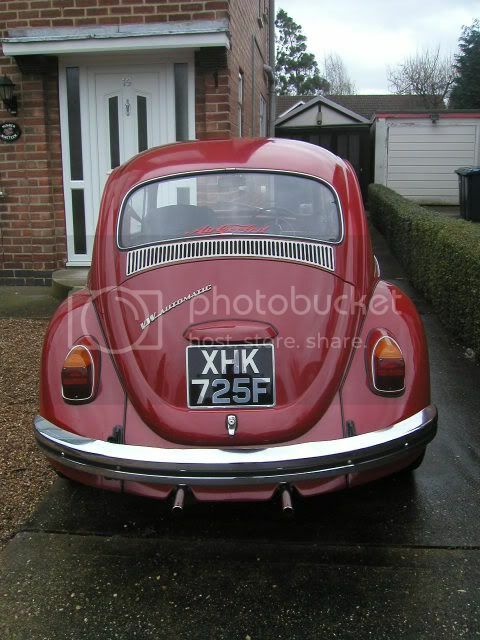 1968 VW semi automatic beetle..
1968 model beetles were made from 1st August 1967 - to 31st July 1968.. 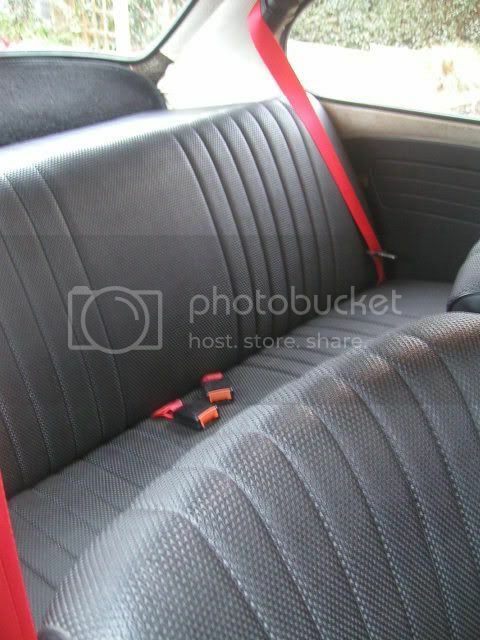 If Yours was a 1967 year model it would have sloping headlamps and horn grills... [in Europe]..
B. red rear drum brakes - again I'd go for black. the red drums just draws the attention to that area which if you think of it, is not worth it as drums are not "race" type technology. 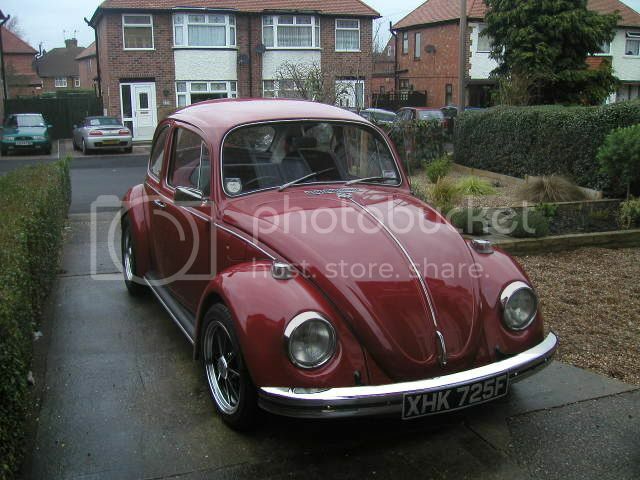 Am not against the color red, I had red '69 beetle once, very similar to the one you have. I just think that a good looking car should have the right color scheme and tones in the right places.